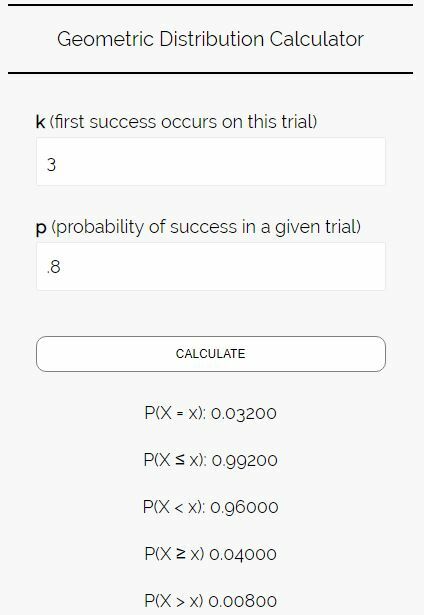 where p is the probability of success in a given trial. 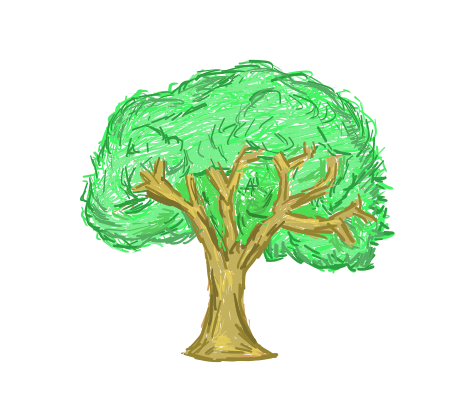 Let’s walk through some examples to get a better understanding of the geometric distribution. 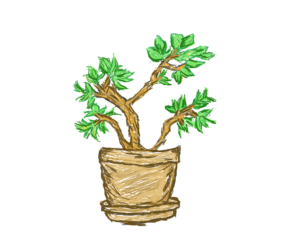 Example 1: An ice cream shop gives a raffle ticket to each customer that walks in the door. If a customer receives a winning raffle ticket, they get a free ice cream cone. The probability that a given raffle ticket is a winner is 5%. What is the probability that the 10th customer that walks in the door is the first winner? 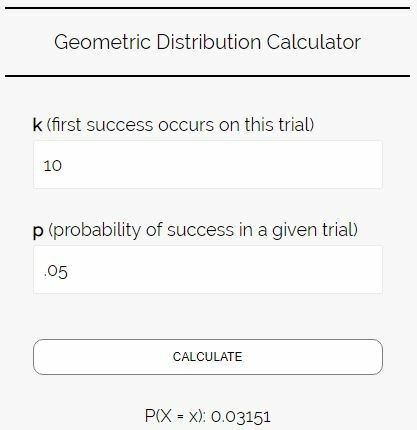 Step 1: Identify the probability of success on a given trial (p) and the trial we are interested in studying (k). We want to know if the k = 10th customer will be the first winner. 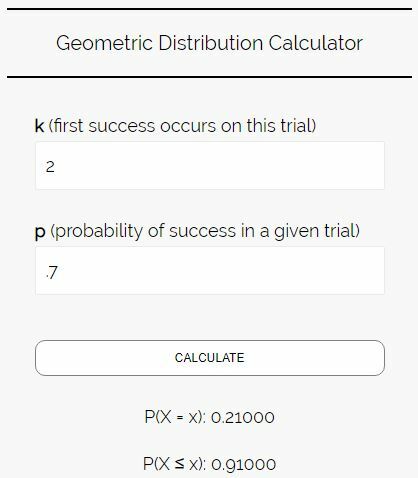 Step 2: Plug these numbers into the geometric formula or a geometric calculator. The probability that the 10th customer who walks into the ice cream shop will be the first winner is .03151. Example 2: Amanda makes 70% of her free-throw attempts. What is the probability that she makes her first free-throw within her first two attempts? We want to know if she will make her k = 1st or k = 2nd attempt. The probability that Amanda makes her first free-throw within her first two attempts is 0.91. Example 3: Max makes 80% of his free-throw attempts. What is the probability that he needs to shoot three or more free-throws to make his first shot? The probability that Max needs to shoot three or more free-throws to make his first shot is 0.04.